What do most INFJs long for? Answer: Real, authentic friendships. They want to be known and appreciated for who they are. They want someone to empathize with and understand them in the way they do other people. The challenge is finding someone who appreciates what you do and the way you think in a world where the vast majority of people operate so differently. The more I reflect on my own life and relationships, the more I realize how important friendships with other intuitives are. 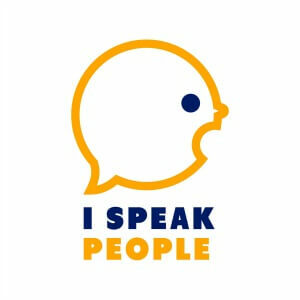 Some of the friendships that I enjoy most are with INTPs, INFPs, ENFPs, and the like. The way we approach life and things we care about are similar. Today, let’s take a brief look at why relationships with other intuitives can be both refreshing and rewarding for you as an INFJ. While most sensors live for the next tidbit or factoid pertaining to who’s getting married, the new Mexican place opening up, or the best route to home from work, intuitive types prefer to discuss “why” and look below the surface at patterns and causes. They’re interested in what motivated Fred to quit his job all of the sudden and how the new supercomputer will impact your work-life balance ten years from now. They dive right into hypothetical, theoretical, and interpretive discussions. Conversations of this kind appeal to INFJs because we’re dominant intuitives. As such, we are among the most theoretical of types, according to AJ Drenth. Personally, facts about what people are doing and when and where they’re doing it bore me. I’d much rather talk about why the world and people work they way they do. Fortunately, most intuitives would too. In general, intuitive are more apt to pursue personal growth. They want to improve their lives and the lives of their communities and are almost always open to trying something new to make either happen. By contrast, sensors focus on the present or the past and stick to what has worked before. They tend to be more change-averse. If you enjoy talking about and helping people grow, making the world a better place, and improving systems that seem to be stuck in a rut (e.g. education, health, government, etc. ), you’ll find intuitives to be a breath of fresh air. Even if you’re just talking about ways you can grow as a person, fellow intuitives will be all over those discussions. For example, when one of my closest intuitive friends and I meet for breakfast, we almost always discuss John Maxwell books and apps we’ve used to improve our lives. My INTJ friend told me that he decided to work on his balance while flossing: he stands on one foot for a minute and then swaps mid-floss. Intuitive love ideas! Depending on the type of intuitive you’re talking to and whether he or she uses extroverted intuition (Ne) or introverted intuition, he or she may prefer to discuss a number of ideas (Ne) or delve deeply into one particular idea (Ni). It really doesn’t matter which type of intuitive you’re talking to. You’ll just enjoy talking to someone who appreciates ideas for their own sake without demanding a practical application. This is not the case with most sensors. They prefer discussions with practical, immediate applications and get their energy from working on something they can see, hear, taste, touch, or feel. Their minds are wired for what’s concrete (e.g. spreadsheets, managing people and systems, cooking, building, etc.). But intuitives get energy from discussing what could be. They like theories, constructs, and anything new and innovative. 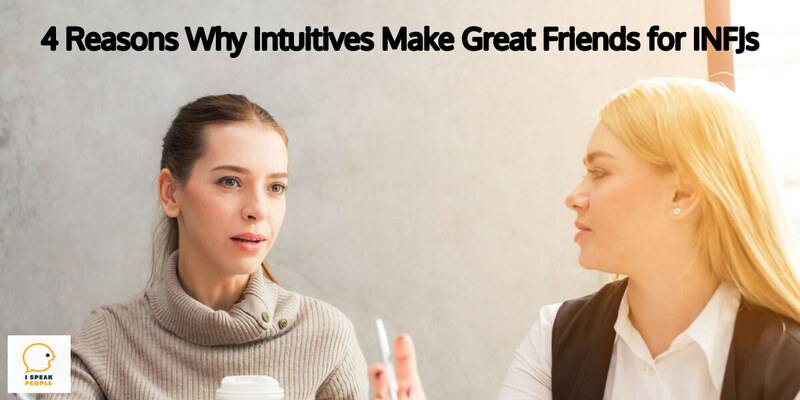 When I get together with intuitive friends, our conversation almost always gravitates to the new things we’ve been thinking about or working on. We seldom reflect on the past or discuss current events. Finally, as a dominant intuitive, you and other INFJs are extremely creative. You’re so creative, in fact, that you might feel sick or out of sorts if you don’t make time on a regular basis to create, based on what Lauren Sapla says in her book The INFJ Writer. That’s why relationships with other people who make things and “think outside the box” are so energizing. And these kinds of people, more often than not, are intuitives. A couple of years ago, I wrote songs with friends. I’d pen lyrics and strum a chord progression or melody on my own, and then get together with friends to flesh out the rest of the song. Those were deeply satisfying times for me because I loved co-creating. And you, like me, are likely to enjoy creative sessions with other intuitives who share your passion for bringing something original to life. What do you enjoy about relationships with other intuitive personality types?